2. Items must be returned in original, factory condition (unaltered, unworn, undamaged and with tags attached in original packaging) as we do not sell refurbished or previously owned products. Please make sure the hair extension(wave) is INTACT and the LACE has NOT been cut. 5. After the return request has been authorized, the hair extensions&hair wave can be shipped back to the address we gave you. 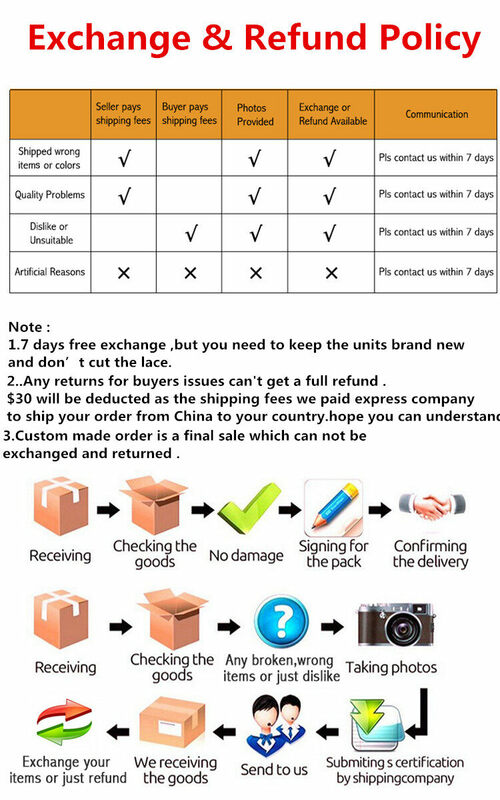 Please kindly send email about your order number and returned package number.